First of all…you don’t have to ‘kebab’ this chicken if you don’t want to. You can just marinate it and grill it up…cause it’s really about the marinade! You could slather it on a shoe and it would still be pretty tasty! But for the purposes of this recipe, let’s assume you’ll be grilling chicken (not shoes). This marinade is enough for about 5-6 skinless, boneless chicken breast halves. 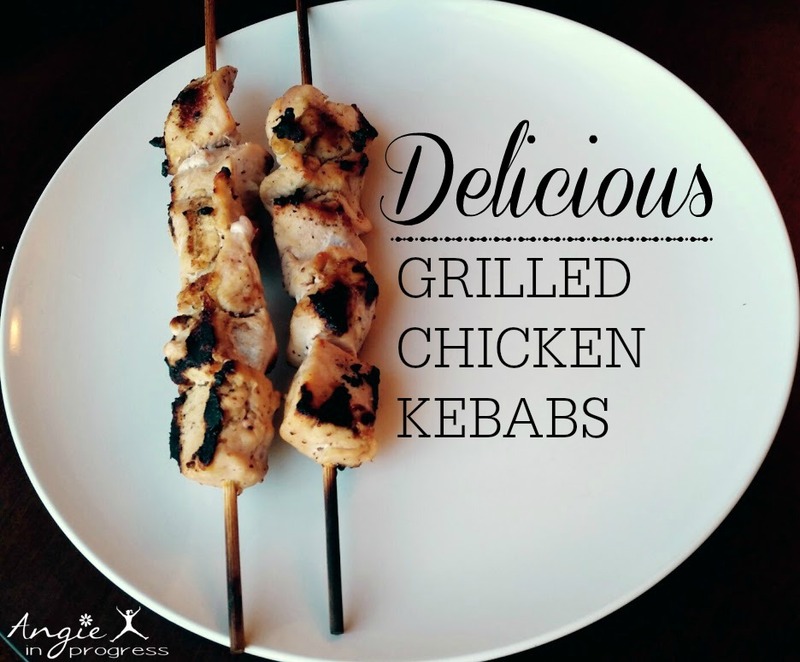 Cut up chicken (if making kebabs) into 1 inch chunks. Put the chicken in a large Ziploc bag and add marinade. Put the chicken in the fridge and try to marinate for at least 2 hours (less if you’re in a hurry and didn’t plan ahead). 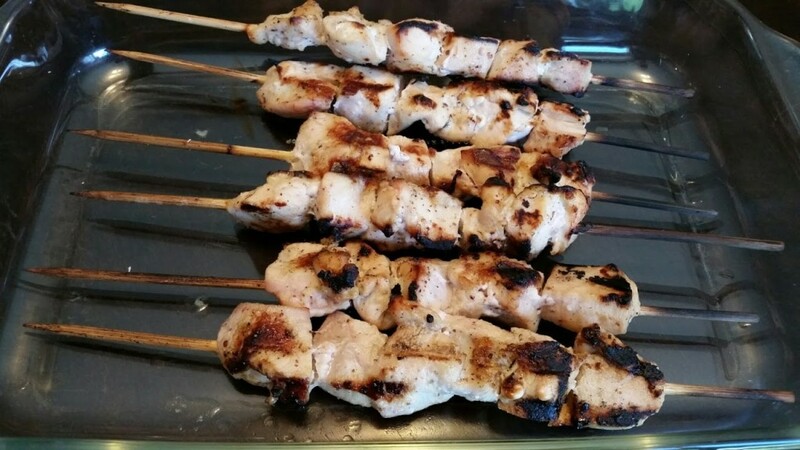 Place 5-6 pieces of chicken on each kebab stick (I pre-soaked mine so they wouldn’t burn). Grill chicken over med/high heat and cook until juices run clear. (kebabs will take about 5-7 minutes on each side. Then, when they were done grilling, I took the pieces off the stick, and shoved them into my 21 Day Fix container to see how many would fit! I was able to fit almost 2 full sticks in one red container – which was a lot of food! 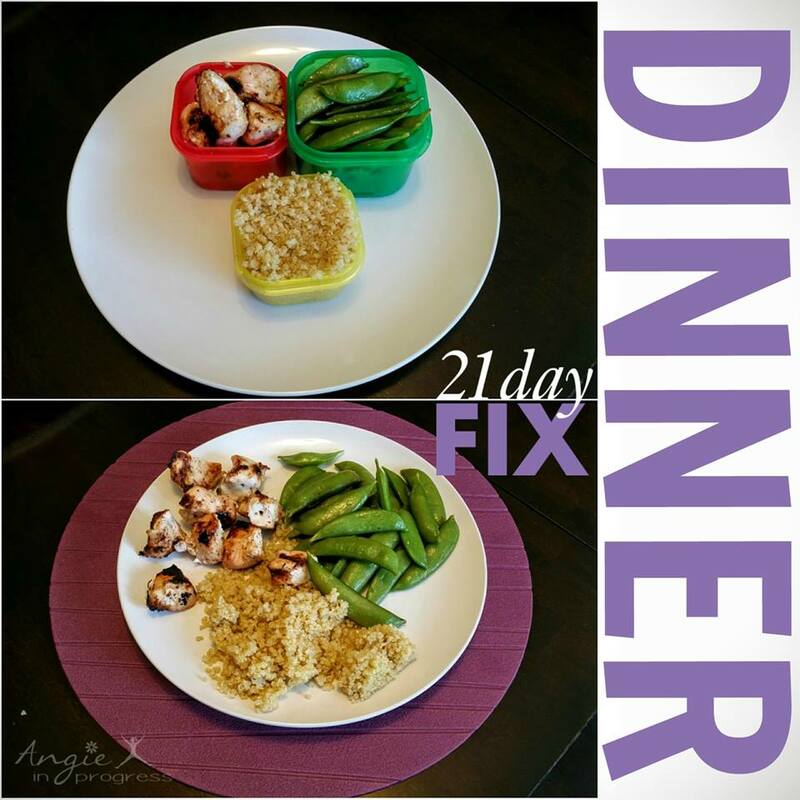 Not familiar with the 21 Day Fix? Through the end of this month, you can get the 21 Day Fix OR 21 Day Fix Extreme FREE when you try Shakelogy (vs. a one-time order of Shakeology). Check them out below! And you also get a 30 day FREE trial of Beachbody on Demand! Previous PostPrevious Delicious Strawberry Vinaigrette!